TORONTO, ON and TAMPA, FL, Oct. 15, 2018 /CNW/ - Cott Corporation (NYSE:COT) (TSX:BCB) today announced that DS Services, a Cott Corporation subsidiary, acquired The Mountain Valley Spring Company ("Mountain Valley") for $78.5 million in cash from Great Range Capital. Mountain Valley is a fast-growing American brand of spring and sparkling water and is one of the most recognized home and office distribution ("HOD") brands in the United States. It has been bottling in glass continuously since 1871, with one production facility in Hot Springs, Arkansas, and four protected and owned springs in the Ouachita Mountains with excess capacity to supply long-term demand. Channels of business include HOD, the natural food channel, on-premise, E-commerce and strategic contract packing. Dave Muscato, President - DS Services, commented, "We are very excited about strengthening our business and adding a fast-growing premium spring, sparkling and flavored water American brand to our portfolio. We have added not only a high growth premium water product but also an American brand that we can offer to consumers in iconic glass bottled packages." Mountain Valley focuses on spring water bottled in a variety of glass bottle sizes ranging from five-gallon bottles which are delivered to homes and offices throughout the U.S. to single serve sizes such as one liter, 500mL and 333mL. Over the years Mountain Valley has added sparkling and flavored sparkling water in glass bottles as well as lightweight plastic offerings for its sparkling and spring water lines. Mountain Valley is uniquely positioned as the premium American water brand and is a leader in the high growth premium bottled water branded category as well as the sparkling and flavored water categories. Mountain Valley has grown revenue from approximately $39 million in 2015 to over $50 million in estimated sales for 2018, with high single digit growth expectations for 2019. 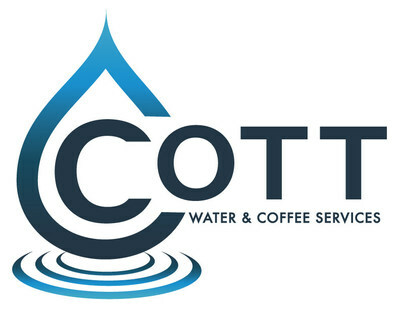 "The Mountain Valley acquisition is another positive step in building out our water solutions portfolio and meeting our stated desire to continue to pursue acquisitions in the growing water and coffee segments, where we believe our platform, operating strength and synergies can be leveraged," commented Tom Harrington, Cott's Head of Route Based Services and incoming Chief Executive Officer. The purchase price was $78.5 million, on a debt and cash free basis, representing approximately 8x estimated year 2 post-synergy adjusted EBITDA. Cott financed the transaction through a combination of cash on hand and drawing on its asset based lending facility. The transaction closed on October 15, 2018. Additional financial and integration information relating to the acquisition of Mountain Valley will be provided during Cott's third quarter earnings release conference call scheduled for November 8, 2018. In addition to this press release, a document has been posted on the Cott website (www.cott.com) under events and presentations which provides additional information on Mountain Valley. Great Range Capital, a private equity firm based in greater Kansas City, primarily targets controlling equity investments in Midwestern companies with revenues ranging from $20 to $150 million. Learn more about Great Range Capital at www.greatrangecapital.com. This press release contains forward-looking statements within the meaning of Section 27A of the Securities Act of 1933 and Section 21E of the Securities Exchange Act of 1934 conveying management's expectations as to the future based on plans, estimates and projections at the time Cott makes the statements. Forward-looking statements involve inherent risks and uncertainties and Cott cautions you that a number of important factors could cause actual results to differ materially from those contained in any such forward-looking statement. The forward-looking statements contained in this press release include, but are not limited to, expected growth, synergies and contribution to Cott's performance, and the potential impact the acquisition will have on Cott and related matters. The forward-looking statements are based on assumptions regarding management's current plans and estimates. Management believes these assumptions to be reasonable but there is no assurance that they will prove to be accurate. Factors that could cause actual results to differ materially from those described in this press release include, among others: changes in estimates of future earnings and cash flows; expected synergies and cost savings are not achieved or achieved at a slower pace than expected; integration problems, delays or other related costs; retention of customers and suppliers; and unanticipated changes in laws, regulations, or other industry standards affecting the companies. The foregoing list of factors is not exhaustive. Readers are cautioned not to place undue reliance on any forward-looking statements, which speak only as of the date hereof. Readers are urged to carefully review and consider the various disclosures, including but not limited to risk factors contained in Cott's Annual Report on Form 10-K and its quarterly reports on Form 10-Q, as well as other filings with the securities commissions. Cott does not undertake to update or revise any of these statements in light of new information or future events, except as expressly required by applicable law.